Arctic Fortune is a frostily-themed game that features a shivering cold world that nonetheless teases you with the possibility of massive fortunes just waiting to be won. 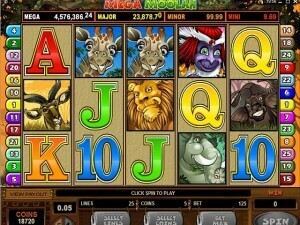 You won’t be left in the cold with 1,024 ways to win, thanks to Microgaming’s award-winning technology at work in this innovative slot. 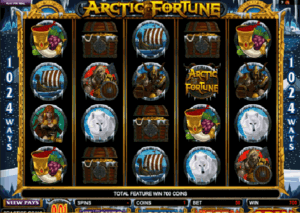 Like all Microgaming video slots, players in Canada and elsewhere around the world can play Arctic Fortune by visiting casinos like Jackpot City, Casino Action, and Lucky Emperor Casino. 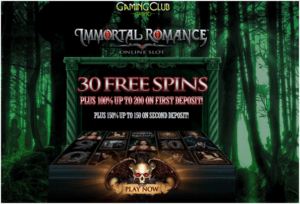 Like Microgaming’s other 1,024 ways to win games, there are no actual paylines in this game, at least not in the traditional sense. 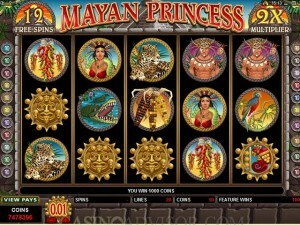 This five reel game also features wild and scatter symbols, as well as multipliers and a bonus game to enjoy. 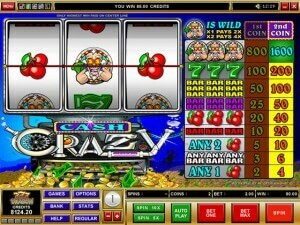 The frosty edges of the game screen and dark blue colors add to the immersive effects of the game itself, which also features symbols such as wolves, vikings, and treasure chests bursting with riches. Sound effects and adventurous music, which can be muted if you choose to, also increase the game’s fun factor. Coin values are fairly limited in Arctic Fortune, but betting values are not. 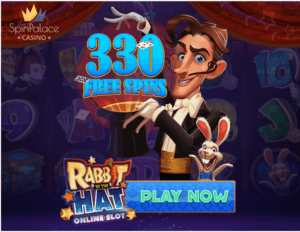 While coin values only go from .01 to .20 (with values like 2 cents, 5 cents, and 10 cents in between), the betting range goes from 50 cents all the way to $100 per spin for the high rollers out there. 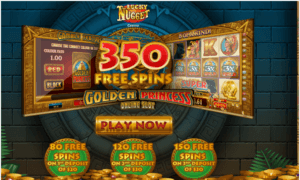 The jackpot is pretty healthy, with a possible win of 15,000 coins, which is $3,000 CAD at the highest coin value of 20 cents. 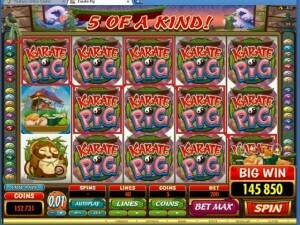 Not a bad win at all for a non-progressive slot! To get the highest win, you have to get the blond-haired viking, who is shown with his shield raised and ready for combat. 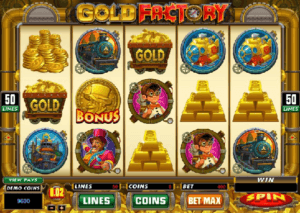 Since there are 1,024 ways to win in this game, getting five of them is not as insurmountable as it would be in other video slot games, to be certain. The scatter symbol is a treasure map with a knife stabbed into it to show the adventurer’s destination. 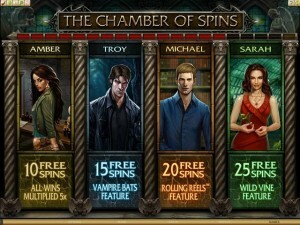 Get three or more of them and you start the Arctic Fortune bonus game. Any two or more scatter symbols pay out, as well. The game’s wild symbol is the Arctic Fortune logo, which can substitute for all other symbols except the scatter. It appears only on reels 2 and 4, as well. When you trigger the bonus game, you are presented with flaming arrows, which you shoot at red and black spiders. 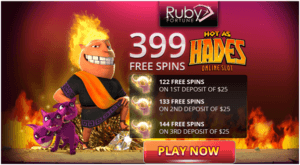 Each successful hit gives you free spins or a multiplier to increase your winnings. On the following stage, you take on the big daddy of them all, and when you hit the boss spider and release the door to drop him, you are the winner. Arctic Fortune promises the kind of adventure that is rarely seen in video slot games. 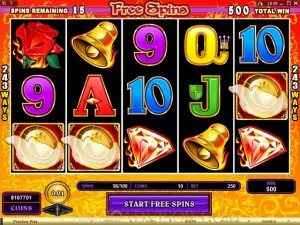 It also packs a nice array of features, especially the fun and thrilling bonus game, and overall is a great slot to play.